Castle Hill is a suburb to the north west of Sydney, not far from Blacktown or Parramatta. Castle Hill Tag League plays at different venues from season to season based on field availability. Valentine Sports Park (Red Marker 1) 235-257 Meurants Lane, Glenwood NSW 2768. There is parking available adjacent the fields off Meurants Lane. There are Toilet facilities at the Park. Click Here for a more detailed map and directions to Valentine Sports Park. Francesco Crescent Reserve (Green Marker 2), Francesco Crescent, Bella Vista NSW 2153. Click Here for a more detailed map and directions to Francesco Crescent Reserve. Fred Caterson Reserve (Blue Marker 3), Gilbert Rd, Castle Hill 2154. Click Here for a more detailed map and directions to Fred Caterson Reserve. 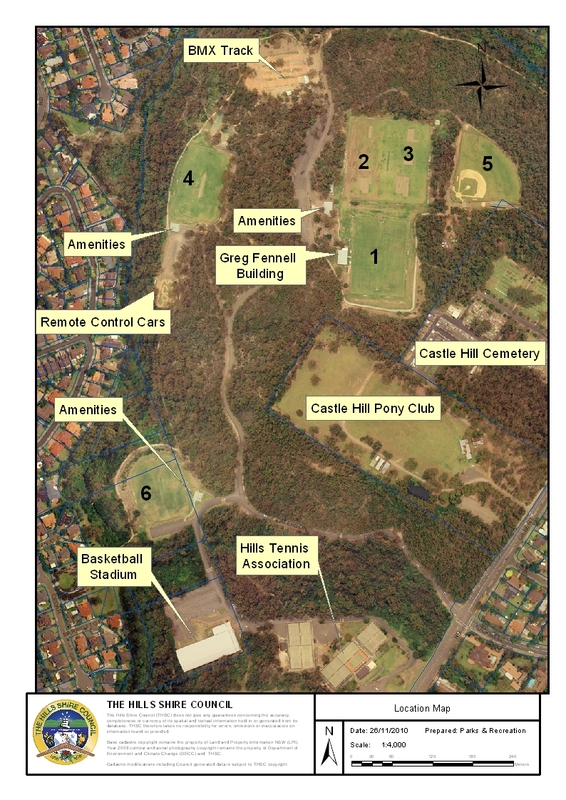 Click Here for a more detailed map of the field layout at Fred Caterson Reserve. 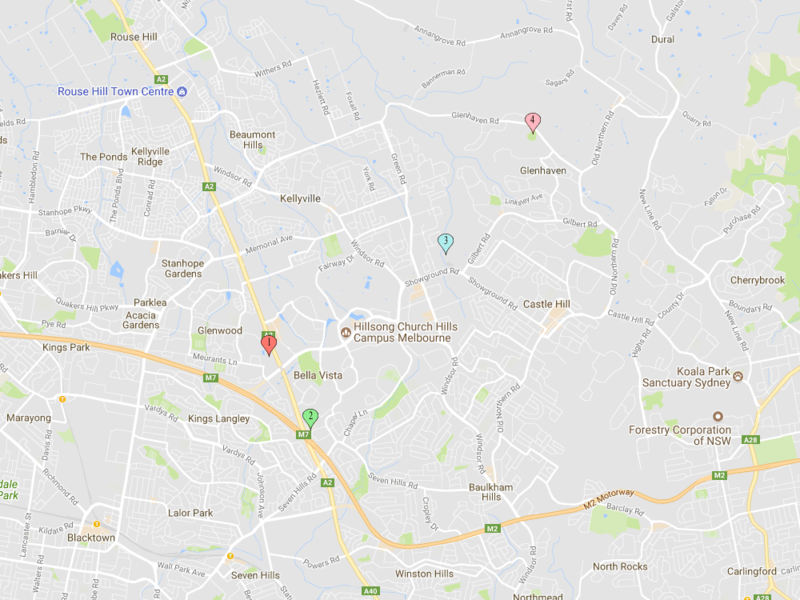 Glenhaven Oval (Pink Marker 4), 74Z-76Z Glenhaven Rd, Glenhaven 2156. Click Here for a more detailed map and directions to Glenhaven Oval.